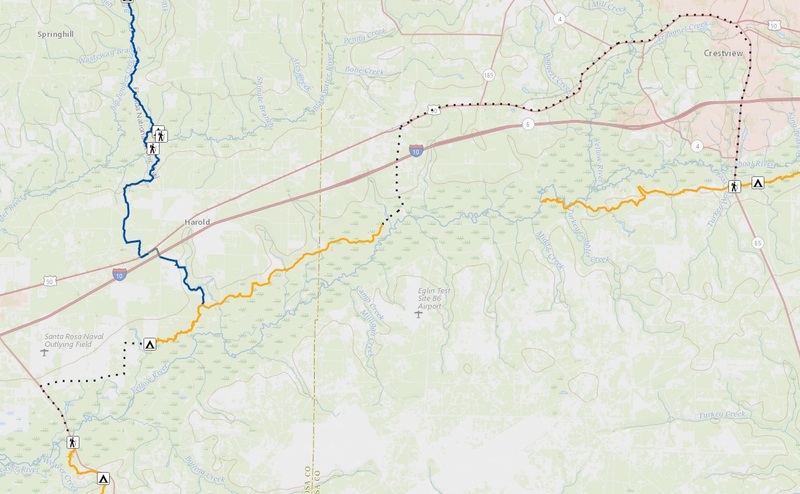 The Yellow Ravines section of the FNST runs along the north side of the Yellow River from SR 87 at the Yellow River bridge to the intersection with the Yellow River Log Lake Road south of Holt, Florida. At this moment, 5 1/2 miles of the trail is a road walk from the its connection to the Weaver Creek section at the bridge, following Hwy 87, Nichols Lake Road, Nichols Creek Road to the trail through the woods A primitive campsite, named Wild Azalea, is located 1 1/2 miles from this point. A second site is located about a mile from eastern end of the section at Guest Lake Park. To view a detailed description of the trail, including the location of trail heads, water, road crossings, etc. 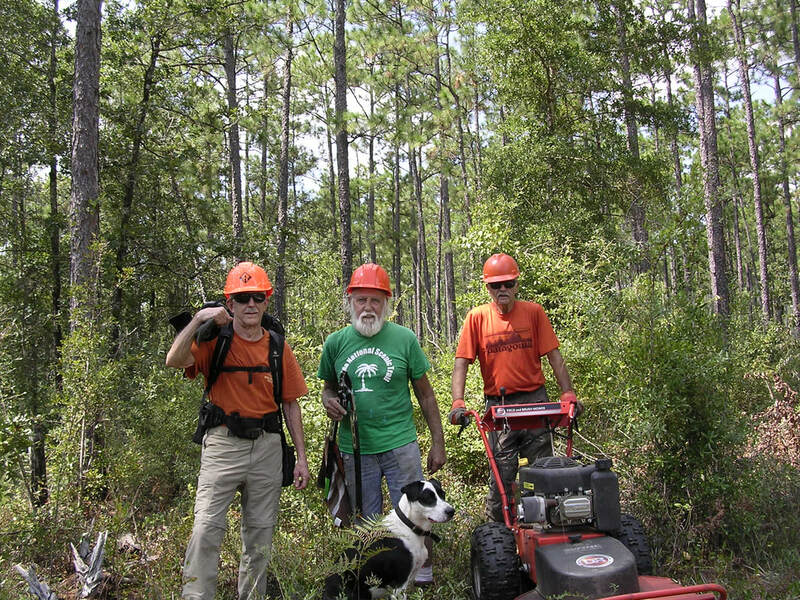 click the Florida Trail's data book and then on Sections 7 and 8S. Click here for a map of this section. Roughly halfway along this section of the FNST is the junction of the Blackwater River side trail, located at the Deer Lake junction. The first 2 1/2 miles of this trail proceeds north along Burnt Grocery Creek. to a campsite. Shortly thereafter the trail becomes the Blackwater Section.